Plot: A hitman kills Judges with a solar powered gun. 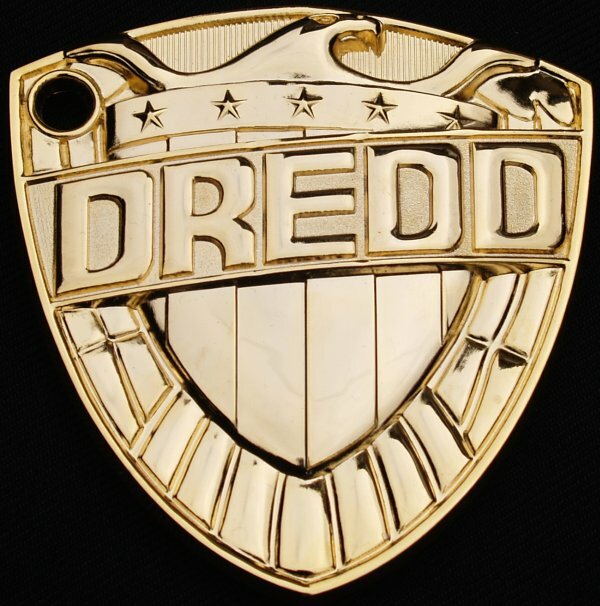 Dredd orders weather control to make it cloudy. Verdict: Another case of a criminal coming to a sticky end. Another case of a criminal with a silly name – Gorilla. And another visit to weather control. It seems that the citizens of Mega City One get to vote on what the day’s weather will be. They like hot and sunny. This is a good story and you are wondering why a monkey appears halfway through but all is cleverly revealed. Ron Turner does some great art too. The Law Rod we have seen before finally gets named but we still have a Grand Judge – who actually attends a crime scene. Disconcertingly the clock on the front of Weather Control says the year is 2090 so we have lost nine years somewhere. So much for continuity. This entry was posted in Progs and tagged John Wagner, Ron Turner by 365gn. Bookmark the permalink.